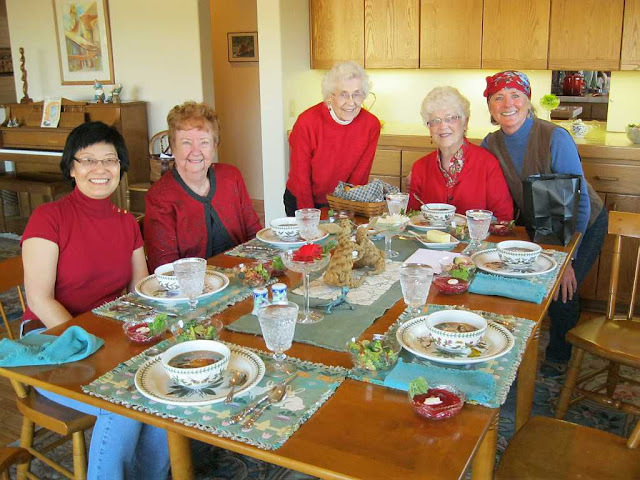 Susun had a long-standing date for lunch with her Sedona Sisters. (l-r) Rosa, Betty, Gert, Beth and you-know-who. Beth is such an awesome hostess. She ALWAYS sets a perfect table! Nichol took this photo and we wish we had a nice picture of her, too. Sorry, Nichol. Rosa baked a cake for Susun and put those fake candles on it. They don't blow out. 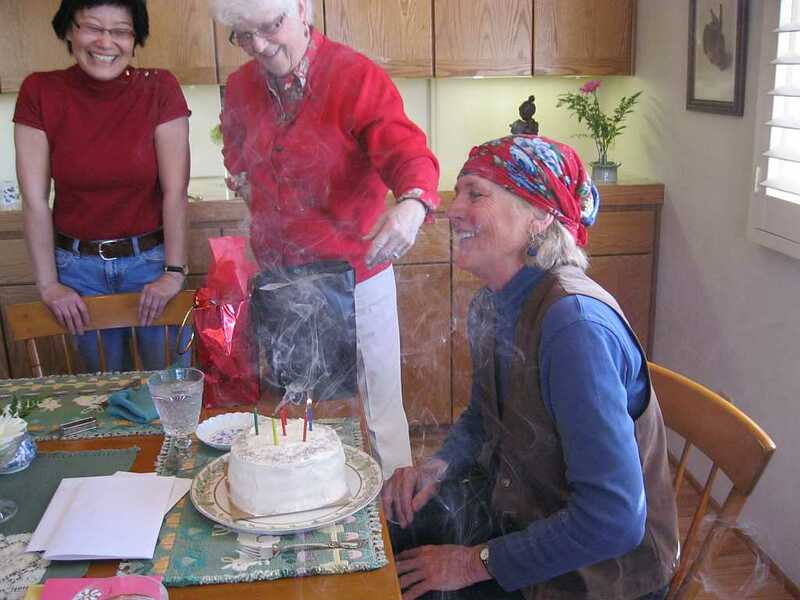 Everyone enjoyed Susun attempting to blow out the candles and Nichol captured the action. 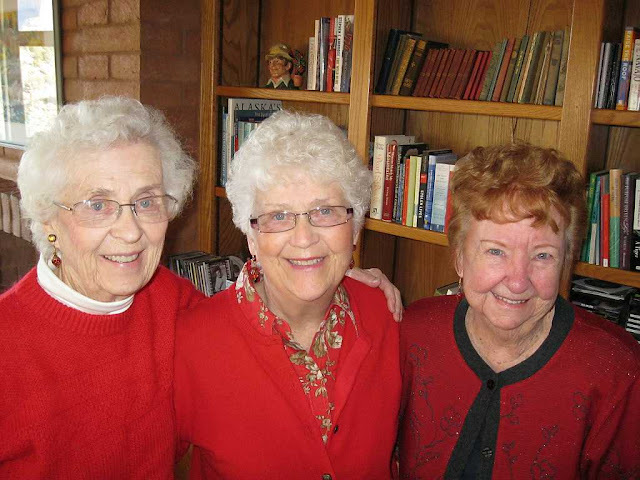 Here's Susun's three 80-something Sedona Sisters, Gert (87), Beth (80) & Betty (89). Each of them is SO YOUNG AT HEART & SPIRIT! We love them so Dearly! You are So Beautiful, Ladies! Susun received a great phone call from Daughter Sarah and Grandson Gage actually wished "Mema" Happy Birthday for the first time. Pretty awesome for an almost-three-year-old. While Susun was over in Sedona, she picked up our mail and found a great card from Daughter Stasea. Stasea also sent an awesome long scarf that's "sooo Susun." Thanks, Stasea, "ya dun good." So, we made a campfire in the house by lighting our propane catalytic heater. It's a roasty-toasty nicey thing to have on a bone cold night. As we both peered into our computers, a knock was heard at the door. And who should appear out of the dark cold evening but Jodi A. herself. 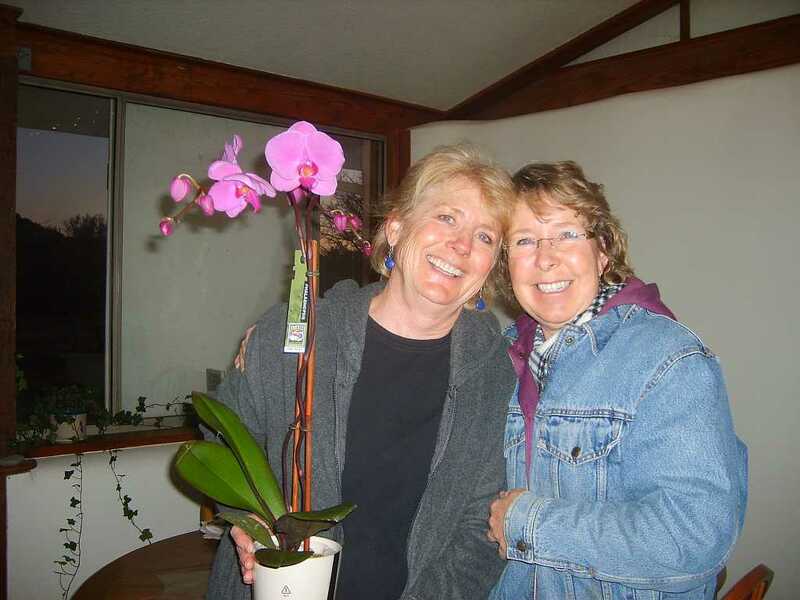 She brought Susun her very first orchid. Susun claims to have never had an orchid before tonight. THANK YOU, Jodi! The day has been filled with special surprises. Maggie called and sang "When I'm 64" with such professional skill. We were so impressed! Nancy and Her Girls sent a great e-card. My Mom even called and sang her Happy Birthday, too. There's been some VERY special blog comments. We appreciate them so much. 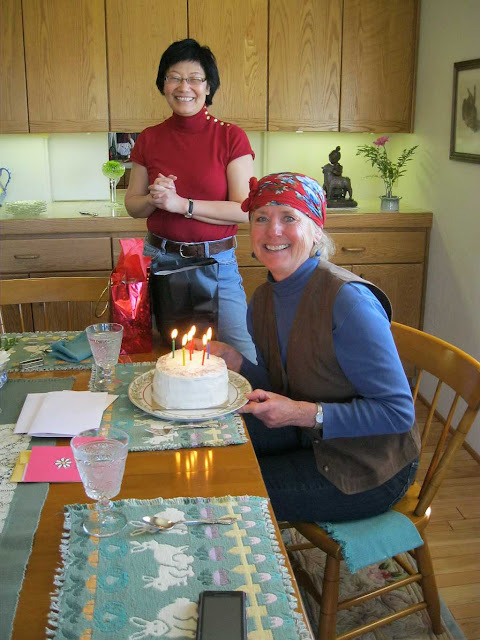 Thank You, Dear Friends, for making this a wonderful day filled with extra special cheer.